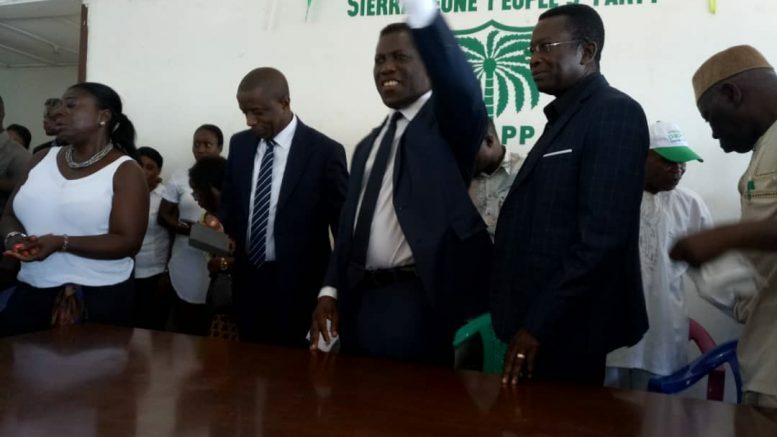 The honorable Chief Minister Professor David John Francis has today 8th November 2018 reached members of the Sierra Leone People’s Party at the grassroots level. 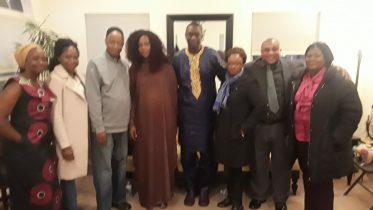 The visit was to restore hope in the membership by telling them how the government under the leadership of President Brigadier (Retired) Julius Maada Bio is determined to make Sierra Leone a better place for everybody, irrespective of tribe, region or party lines. While addressing the membership, the Chief Minister told members to exercise patience and see what the President will do to transform this country for all. He assured the members of the Government’s determination to create more jobs for Sierra Leoneans. The Chief Minister said the Government had made much effort to do what he promised the people during the campaign. He told the membership that the party would soon start receiving ministers and other government officials at the party headquarters. Stating that, most officials have being very busy as there were challenges in almost all offices due to transitional issues. He pleaded to every Sierra Leonean to support the government with emphasis to the Free quality education which the Government has provided for all. The Chief Minister used the opportunity to upgrade his membership to Distinguish grand Chief patron as a sign of his commitment to the party. 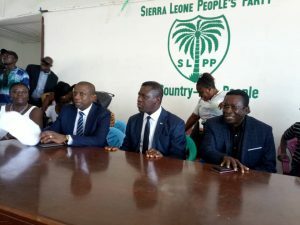 With gratitude, the Chairman of the Sierra Leone People’s Party, Dr. Alex Prince Harding thanked the membership for welcoming the Chief Minister at a honorary status. He said the Chief Minister is a blessing to the New direction Government and that he ( Chief Minister) is a true party son. Dr. Prince Harding said he came across Professor Francis in 1997 during a visit to the UK with Late President Kabba. He said the Chief Minister had supported the party since that time and had always being with the SLPP. The National Secretary General Umaru Napoleon Koroma on the other hand thanked the Chief Minister for being a pillar for both President Bio and VP Juldeh Jalloh. Mr. Koroma said he feel honoured over the week when he heard that the Government has given an automatic scholarship to all first year students offering Agricultural, maths, chemistry and physics while on an official visit to the USA. He said the party will continue to support the New direction Government in order to change this country for the better. 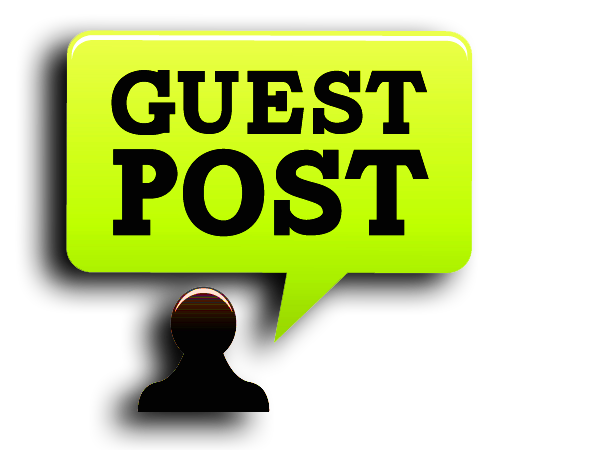 Be the first to comment on "CHIEF MINISTER VISITS SLPP HEAD QUARTERS IN FREETOWN"